plant based detroit. 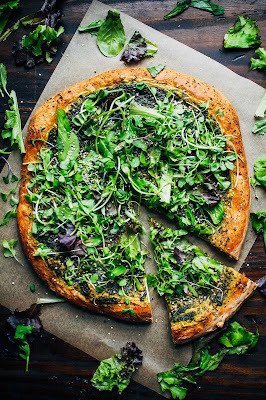 : RECIPE ROUNDUP: PLANT BASED PIZZA. 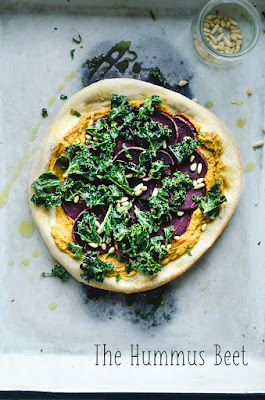 RECIPE ROUNDUP: PLANT BASED PIZZA. If you know me IRL or you follow me on Instagram, you've probably heard about my current obsession with PIZZA. 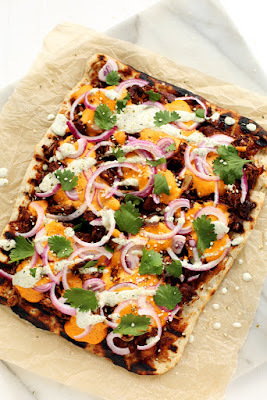 Specifically vegan pizza, and making it at home on my grill. Last year, prior to completely transitioning to a fully plant based lifestyle, I invested in this awesome Weber grill. Once I cut meat out of my diet I was a little worried that it wouldn't get much use, so I started trying to think up creative things to grill (you can only eat so much zucchini and summer squash). 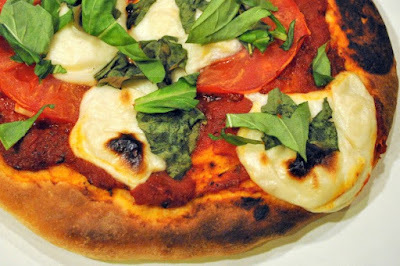 I recalled that friends of mine had a grill top pizza oven, so I did some reasearch and found that for the really small investment of this grill top pizza stone, I could start (and never stop) making easy, healthy, and delicious pizzas on my grill! Invest in a couple of these pizza peels, especially if you're planning on having a pizza party. This way you can have your next pizza ready and on deck for when your first 'za comes off the grill. Assemble your pizza ON the peel. Cover the peel generously with cornmeal (this prevents sticking and makes for easy transfer onto the pizza stone), place your dough on the peel and then add your toppings! I found out the hard way that it's near impossible to move a topped pizza onto the 'cornmealed' peel. Preheat your grill and pizza stone together. My stone literally has not left my grill since I got it, but the instructions that came with it said to preheat the grill first and then add the stone to preheat for an additional 10 minutes. I quickly found that it's sufficient to preheat them together (for 10-15 minutes depending on the efficiency of your grill), no need to waste all that gas! The instructions also indicated that the grill should be on medium heat, however I've noticed that medium-low provides a better result on the crust (some of the ones I've made on medium got a bit charred on the bottom). Rotate the pizza stone halfway through cooking. Most of the pizzas I've made have a 10-12 minute cook time, and I've found that if I rotate the stone halfway through the cook time, it provides a more consistently cooked pizza. The pizza stone I bought has handles, which makes this really easy to do. Trader Joe's pizza dough! TJ's sells 3 types of pre-made pizza dough (white, garlic herb and whole wheat). All three are vegan - win! My favorite is definitely the garlic herb, but I've tried them all, and they're awesome. I've had so much (maybe too much) fun getting creative with these pizzas, and wanted to share some recipes I've used as inspiration and others that I plan to make in the future! 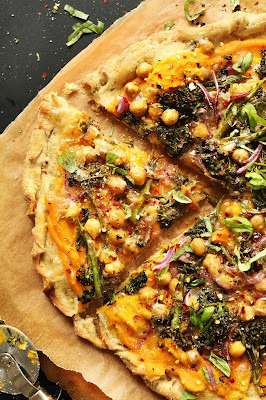 Oh my goodness, this pizza is delicious, not to mention beautiful, and healthy! I eliminated the oil in the cashew cheese and pesto (to make it a bit more Plant Perfect), and it still turned out great. I used the leftover pesto and cheese, along with some marinara and broccolini on another pizza - it was awesome! This vegan mozzarella is so good and realistic, it's almost eery. I served it to my omnivore friend and she said that had I not told her, she would have thought it was dairy. Dana can really do no wrong. Every recipe I've made from MB has been amazing, and this pizza is no exception. 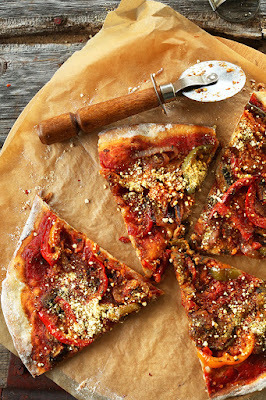 Roasted veggies add great flavor, and her awesome vegan parm make it feel super pizza-y and indulgent! Is anyone else out there as pizza obsessed as I am? What are your favorite combos that I need to be trying?! How about vegan grilling in general? I'm still on the hunt for different ways to keep all my cooking outdoors this summer, so all recommendations are welcome! Thank you very much for sharing the tutorial to make a pizza that is the only food I like most. I will try to make it in my kitchen following your tutorial.